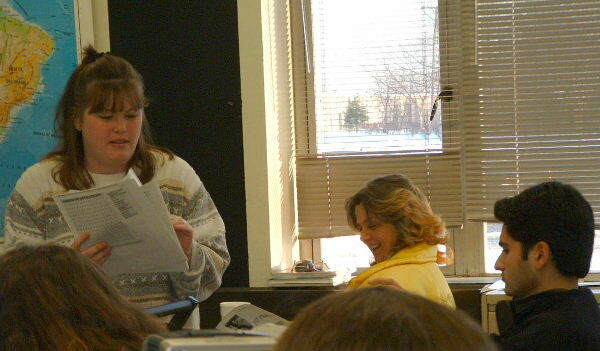 A student may demonstrate expertise in a topic by preparing materials and presenting this material to the class as a project. Usually a topic is narrow in scope -- a problem, a type of problem, a proof, a graphing technique, a calculator program. The topic is requested by the student and must be approved by the prof before the student writes the 2-page draft. In some courses the project is required. The components of the project are the same for each course though the point values may differ. The components are the title, draft, conference, final handout, presentation, and test question and answer. Refer to a course homepage or the following to see point values and component clarification for each course. 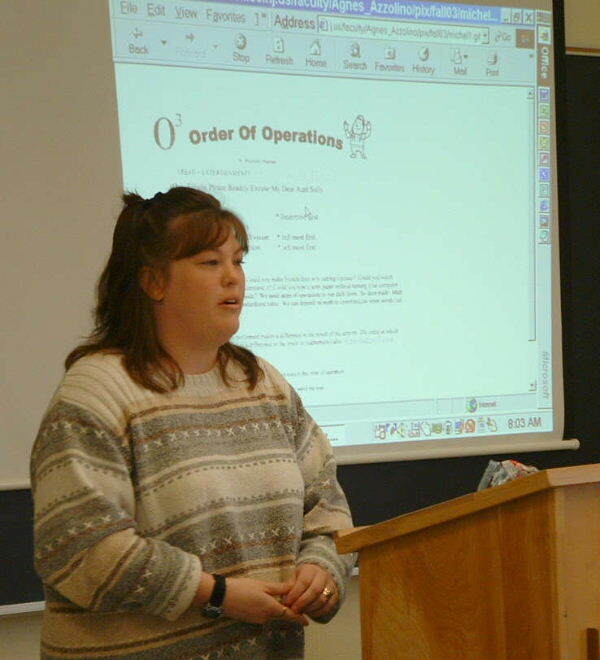 Michelle Hagman's Fall 2003 project on Order of Operations introduces the idea of projects. Here are Michelle's handout pages. 1st 2nd. 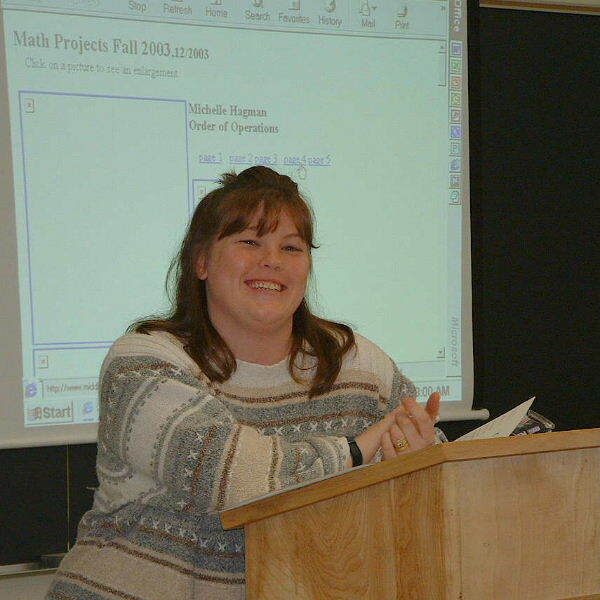 Michelle also produced other material (no extra credit) and had her son video-tape the presentation. She also produced a jingle, a word puzzle, and the puzzle answers.